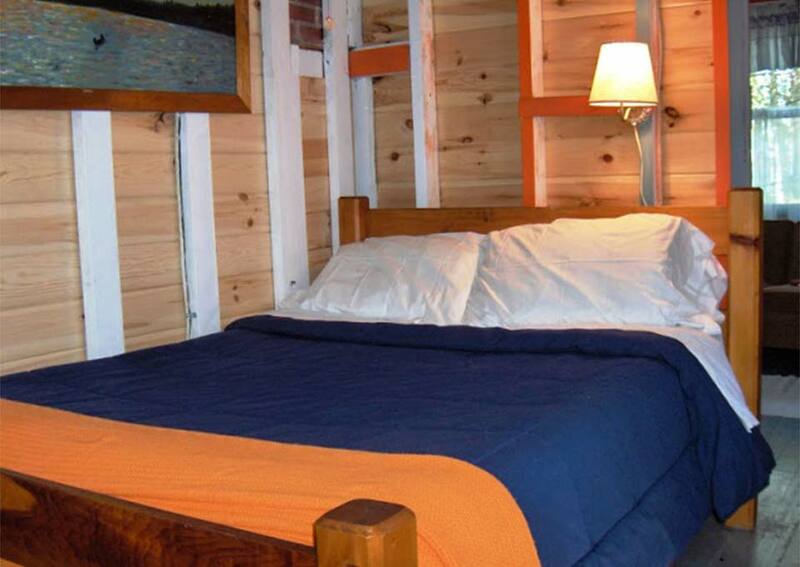 Experience camping in one of our 8 cozy waterfront cottages with their open rafters and wood heat. 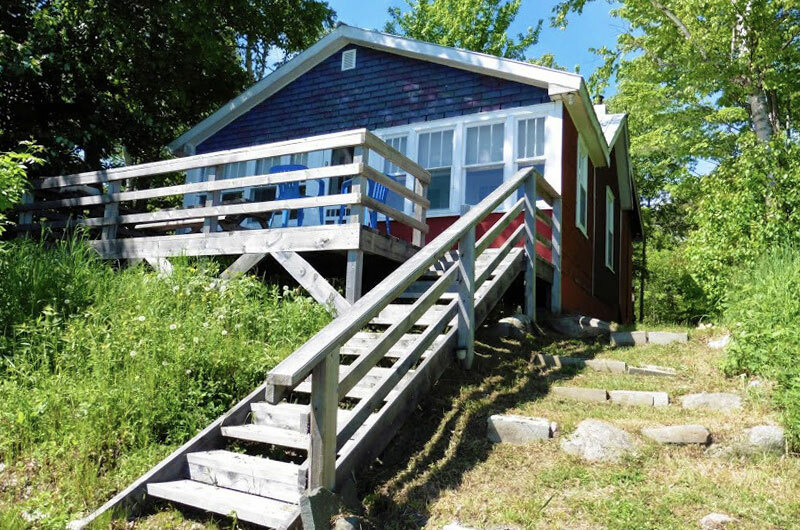 Located on the 22 acre French Island (accessible by car). The cottages are on Bruce Bay and face the Town of Bruce Mines. From this location, you can see its lights twinkling in the distance at night. The cottages and lighthouse are fully equipped housekeeping units, immaculately clean and waiting for you to arrive with your food and clothes. 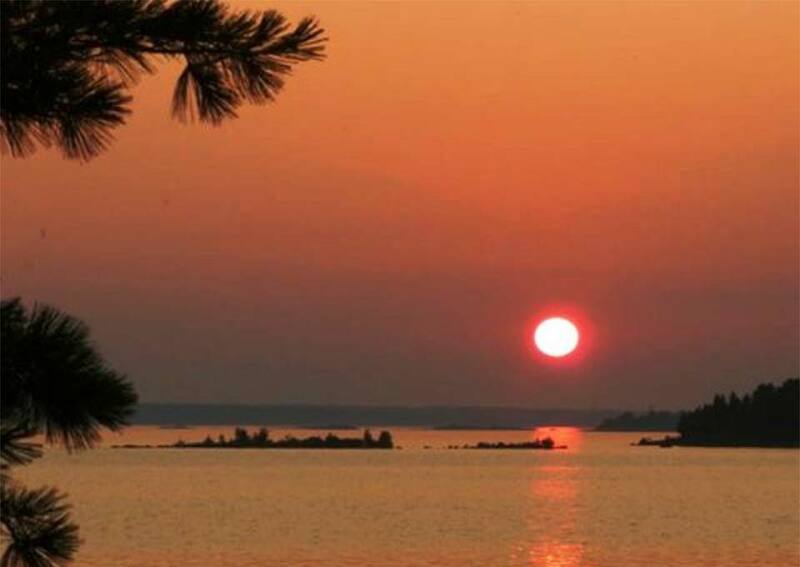 Each cottage has a briquette barbecue, picnic table, bonfire pit, and Muskoka chairs for your outdoor enjoyment. The shallow entry beach at the cottages is great for young children, for a swim at Fox Den Beach or to play on the floating raft. 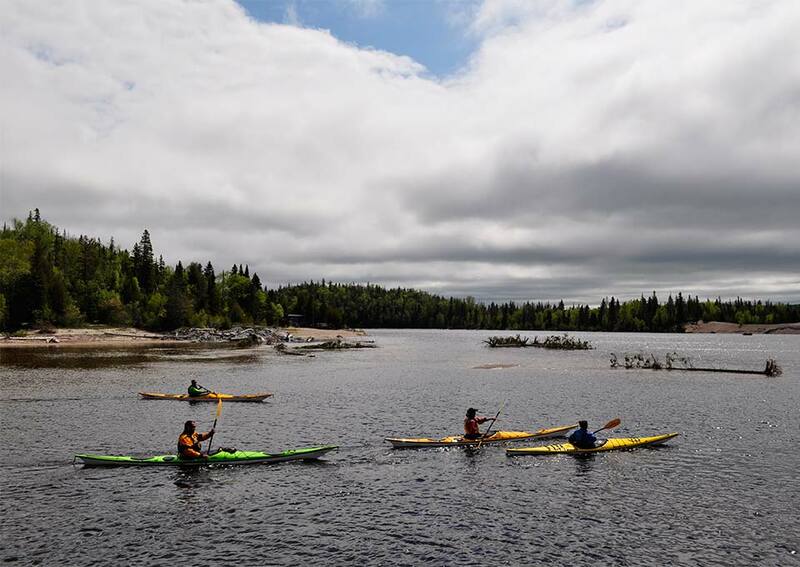 The walking trails, geocaches, canoes, kayaks, row boats, bikes, docks and bonfire wood are all complimentary. 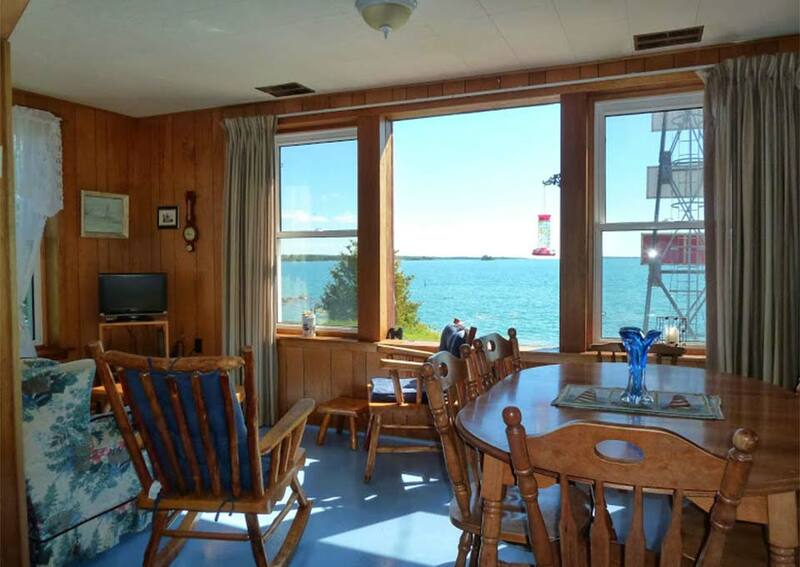 All of our accommodations are pet friendly and the cottages are non smoking, WiFi hot spots available on the islands. Explore both islands by foot or bicycle and search for the geocaches. Listen to the songbirds and observe the abundant wildlife. 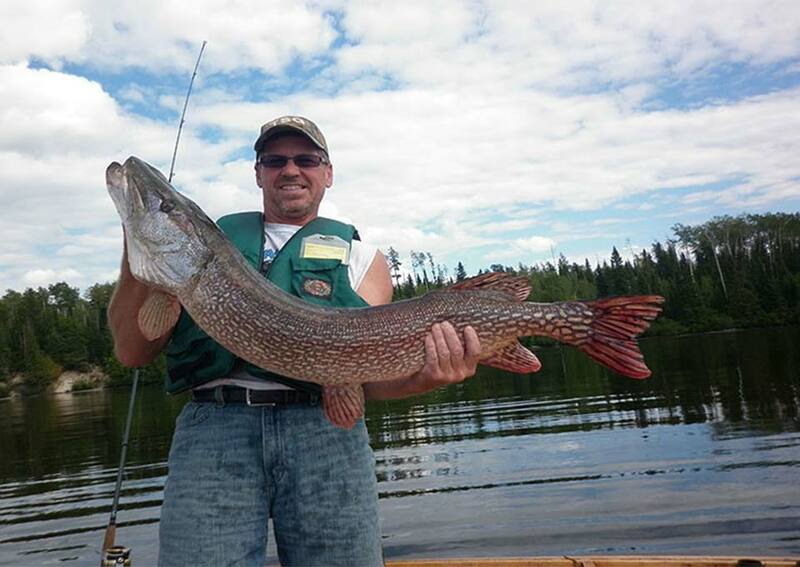 Dip a paddle into Lake Huron and discover the shore line or cast a line and challenge your self with fishing for the elusive pike or just relax by the lake. 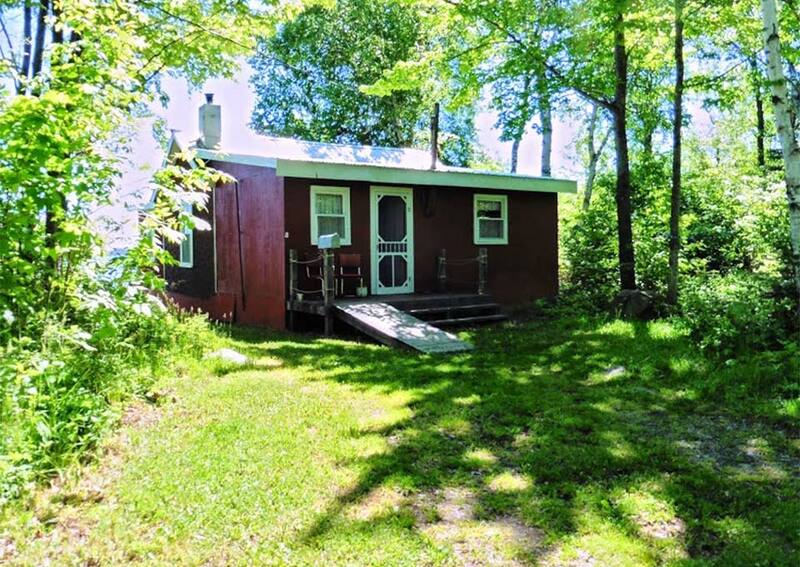 Create warm fuzzy memories around the bonfire roasting marshmallows and star gazing. 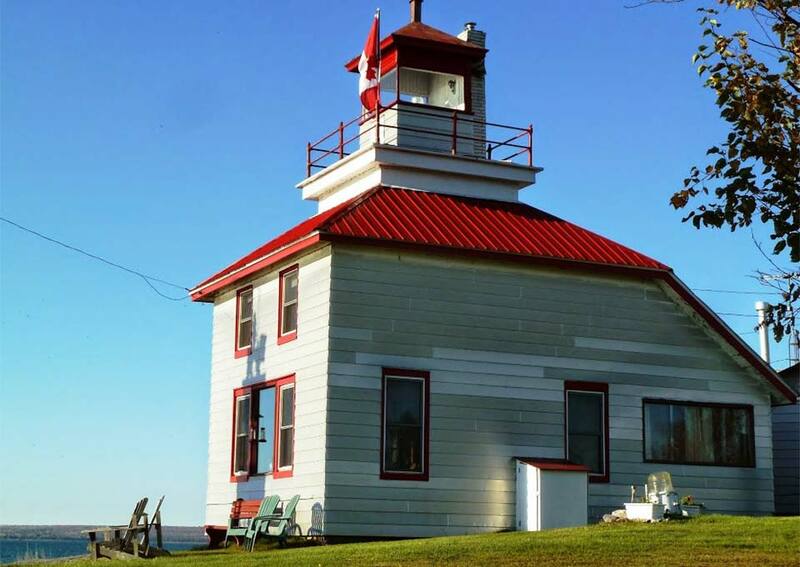 Spend a day, a weekend or your entire vacation at Bruce Bay Cottages & Lighthouse. Book the lighthouse lounge banquet facilities, a nature setting for small intimate gatherings, seminars, weddings or to just elope Self cater or you can hire catering specialists. 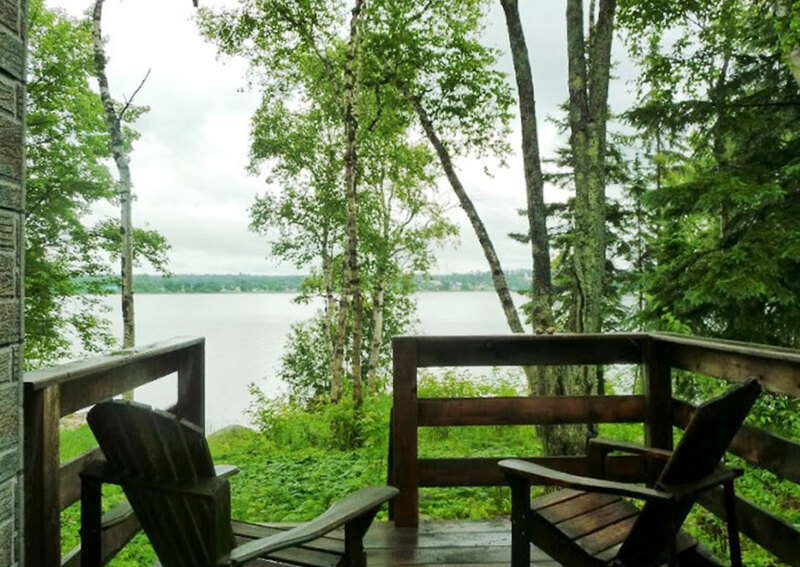 Amazing view of the North Channel and the deck offers outdoor mingle space.